Come for the art and stay for the music this Friday. The art show is from 5pm - 8:30pm, and the featured band is Freesound. Redwood City is fast becoming the peninsula�s epicenter for the arts with new galleries and great places to hear live music. 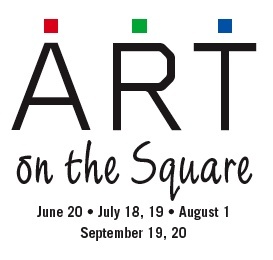 This summer Art on the Square returns to Courthouse Square. Premier Bay Area artists and artisans will exhibit their work in the heart of the beautifully renovated downtown. Presented by the Redwood City Civic Cultural Commission and the Redwood City Redevelopment Agency, the four juried outdoor shows complement Music on the Square, the city�s popular Friday evening summer concert series. Enjoy painting, sculpture, photography, glass, fiber, jewelry, ceramics and more by fantastic local artists. And, at each show there will be a drawing for gift certificates. Winners can �spend� their certificate in any artist's booth. Remember to fill out an entry form. Who knows, maybe you'll be one of the four lucky winners! This page contains a single entry from June 18, 2008 8:43 PM. The previous post in this blog was Midsummer Art Celebration June 21st. The next post in this blog is Creature Culture exhibit this Friday, June 27th.